Ronald Steele graduated from John Carroll Catholic High School in 2004. During his highschool career he led the Cavaliers to an undefeated 36-0 record in his junior season. He was named "Mr. Basketball" in the state of Alabama in each of his junior and senior seasons. He was the first junior ever to receive the title. After graduation he attended and played basketball for the University of Alabama (2004-2009). In his junior year he lead the Alabama basketball team to a top 10 ranking. After college Coach Steele played professional basketball oversees from 2009-2014. Coach Steele returned to John Carroll in 2015 and coached the girls basketball team to the Elite Eight of the Class 6A playoffs. 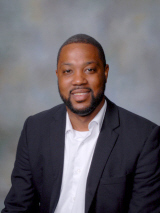 He then accepted the position of Athletic Director and men's basketbll coach at Cornerstone School in Brirmingham for the 2016-2017 school year. In 2017 Coach Steele returned to John Carrol as the Athletic Director and men's basketball coach. Coach Steele is curently the athletic director as well as the head men's and women's basketball coach. Coach McMillan has been in education for over 15 years. She is a 1997 graduate of John Carroll, where she was the setter on the first John Carroll volleyball state championship team in 1996. Coach McMillan was the varsity volleyball assistant coach under Frances Crapet for 9 years before becoming the head coach in 2013. 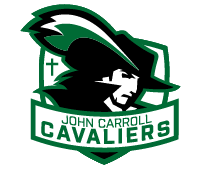 Coach Mac lead the John Carroll varsity volleyball team to the state championship in 2014, and state runners-up in 2015. 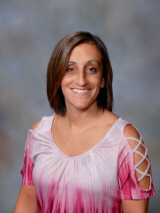 Coach McMillan is in her 10th year as academic support counselor at John Carroll, and her third year as the John Carroll Catholic Middle School Athletic Director.